Say ‘free’ and ‘tools’ to any affiliate marketer and watch their eyes light up with excitement. Everyone loves a marketing tool that makes life a little bit easier, and those that are free are icing on the cake. However, some tools are genuinely free, whereas others are only free for a limited period. When selecting them, make sure to check whether it is a free trial or if it is forever free. What tools do I need for affiliate marketing? Before you get too caught up in signing up for every free tool out there, let’s first consider what you need to run your affiliate marketing business. It’s true, you can run an affiliate business without your own website, but why bother? Your website makes the process much easier while offering you more control over your marketing. First things first, you will need a domain name, and unfortunately, these aren’t free (although they are not usually very expensive). While domain registration isn't free, there are free tools to help you generate the perfect domain name. There are quite a few to choose from but we like LeanDomainSearch. Just enter some words that describe your website and it will generate several different names to choose from. It’s incredibly easy to use, which is a big plus. After deciding on your perfect domain name, choose a domain hosting site and purchase your domain. Typical domain hosting companies include GoDaddy, Bluehost,and Dreamhost. After choosing your website domain name, it’s time to build your site. There are plenty to choose from, but one of the most popular is Wordpress.com. You can use different themes to suit your business, add extra features, edit, and design, plus integrate payment options or a store, should you need it. 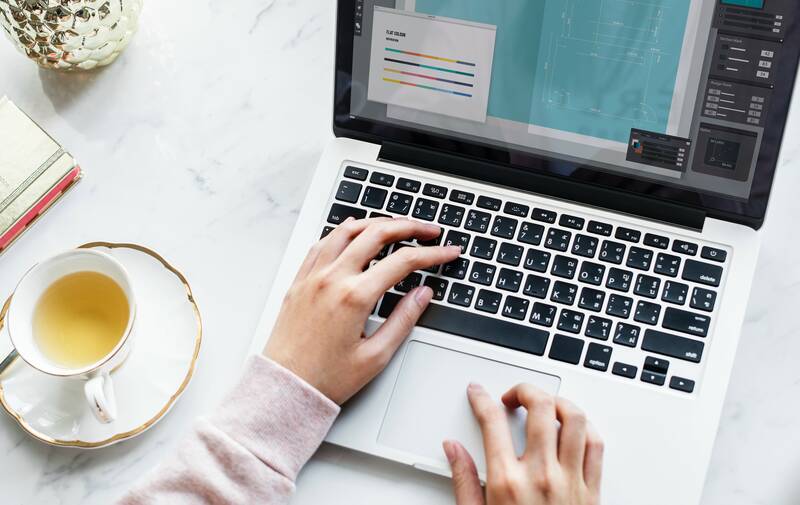 If you want to design landing pages or infographics for your content or emails, Canva is a great free tool that lets you do all that and more. It helps give a professional edge to everything you do. Now your website is set up, the next step is to consider what email software you will be using to capture leads, build lists and send follow up emails through. Even better, email software can help streamline your workload by sending out automated emails at set trigger points, and it works for you 24-hours a day. Some email software is free for a certain amount of contacts or for basic use. But if you add more contacts, send extra emails or use an autoresponder service the bills start building up. If you have limited subscribers and limited emails to send monthly, there are various free options available including MailChimp. But if you want complete freedom, go for Hubspot Marketing Free – a forever free plan. As an affiliate marketer, research is essential. Use as many tools as you can to help with this task, both free and subscription. Here are some of our favorite free ones. Being able to understand the search behavior of your audience, as well as trends according to the time of year or global regions, is essential to campaign planning. Google offers a handy free tool that lets you do all this and more called Google Trends. Facebook holds a massive collection of data you can tap into without spending a dime. To find out if your target audience has a marketing potential you can utilize Facebook’s advertising feature. Follow the steps to set up an ad campaign on Facebook and use the criteria to divide your audience into different categories. Facebook then lets you know the size of your target audience, giving you an insight into its potential. At this point, you are not obligated to follow up with an ad campaign, so just take the information and move on (unless Facebook advertising is part of your strategy of course). LinkedIn also holds a large amount of data, much of it focused on professionals and companies. In the same fashion as Facebook, you can go through the initial process of setting up a LinkedIn ad campaign and use this activity to collect data for your own research, including company sizes and names, and specific job titles or categories. The power of keyword research cannot be overemphasized. It may be lengthy and require regular updating to ensure you are still on the right track regarding your target audience, but it plays a big part in many factors of your business. It can help with search engine optimization, traffic generation, content planning, overall marketing strategies, and advertisements. To make the most of keyword research, first brainstorm and come up with some phrases and words that you feel fit your niche, audience, and goals. There are several free tools worth mentioning in this category that can help you achieve slightly different things. Seventy percent of searches use long-tail keywords, so it is worth spending some time on this. A really simple and free way to do this is to use Google Suggest, which is not technically a research tool but a function of Google you can use to your advantage. Write your phrase into the search bar in Google and it will throw up more suggestions based on your search. You will also find more ideas at the bottom of the page, all of which are based on previous search terms used. As Google Keywords Planner is now only available to those running Adwords, there was a gap in the market for a comparable free tool accessible to everyone. The aptly named Keyword Tool fits the space nicely. The free version is suitable for most research needs and it can be used without an account. Driving traffic to your website and to your affiliate offers is one of the most important aspects of the process. It doesn’t just rely on one magic traffic-generating system. Instead, it requires many different aspects to be implemented, including some that we have already mentioned. While there are not free tools to create traffic, there are tools you can use to help direct more traffic your way. If you have a quick, responsive website, it can not only retain visitors but encourage repeat traffic. Images and videos can create a lag time in the load time of your website, but not if you optimize them first. First run a test through GTmetrix to see what needs optimizing, then load your images through Compressor to speed up their load time without affecting the quality. If you want to discover when certain topics are mentioned online or if your products are backlinked, use Google Alerts. It’s a great way to monitor new topics that relate to your products or services so you can create content around those topics that are currently trending. You can also use the alert as a basis for social media posts, to build engagement, and to stay informed of industry fluctuations. All of these can help keep your traffic flowing by creating deeper relationships with your readers. Understanding how your website and your campaigns are performing is crucial for continued improvement. If you can ascertain how visitors found your website and your affiliate offers, where they come from, what content they are reading, what campaigns work best, which services or products generate the most interest, etc, then you can use these statistics to improve your campaigns and build relationships with your leads. Google Analytics has to be included on this list. It’s free, it’s comprehensive, it’s simple to install and it provides you with a good understanding of what is happening on your website. The one drawback to Google Analytics is that it does require some effort to really appreciate how to use its tools to understand how your website and your visitors are behaving. See how your visitors interact with and use your website using Heatmap. It provides instant feedback so you can improve the experience for your audience and increase retention rates. Tools are essential for online marketers. But if you’re just getting started or if you are just on a tight budget, spending money on your toolbox might not be an option. With the tools outlined above, you have a range of options to help build your business without the price tag.